The following were a few Big Data companies that I was keeping an eye on starting back in January of 2015 (yeah, this is NOT a statistically significant sample)….some for “old times sake” because I new the founding team and was curious how things were progressing, some because I trust their venture capital partners, and some because they inspire me with an application of the technology that is meaningful (I’m tired of hearing about yet another “Big Data Platform”). Adatao is Big Data 2.0, enabling the convergence of business intelligence, data science and machine learning directly on top of big data. Adatao is leading the Big Data 2.0 charge by making it easy for business users, data scientists and engineers to collaborate on data analytics. Their vision is to deliver Data Intelligence for All. Cask (originally called Continuuity) makes it easy for any Java developer to build, deploy, scale and manage Apache Hadoop and HBase applications in the cloud or on-premise. Continuuity Reactor, its flagship product, is the industry’s first scale-out application server and development suite for Hadoop. Continuuity Reactor empowers developers to focus their efforts on the development of the application by abstracting the complexity of Hadoop components and exposing the power of Big Data in a simple and intuitive way. Big data is too hard and too slow. 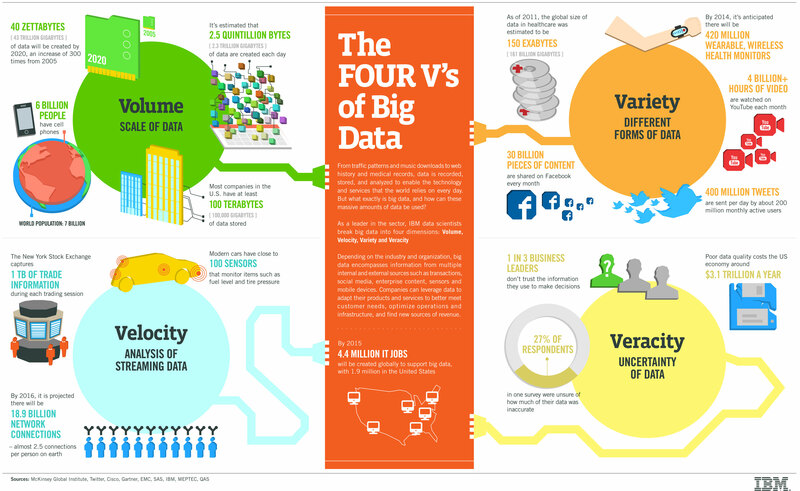 Enterprises need big data on demand. Cazena was founded by former Netezza leaders with a mission to radically simplify and speed up access to big data, allowing much faster business outcomes at a fraction of the cost. Cazena is backed by Andreessen Horowitz and North Bridge Venture Partners. ClearStory Data’s solution is a new data-intelligent analysis solution that eases and speeds disparate data analysis enabling fast blending and convergence of data from internal and external data sources for holistic insights. It enables more disparate sources to be accessed, converged and analyzed without requiring deep IT skills, data experts or data manipulation. End-users visualize, interact, and collaborate on insights in real-time to speed data-driven decisions. ClearStory’s customers are G2000 companies that need fast-cycle, multi-source analysis to answer new business questions that span more sources of data. Databricks is building next-generation software for analyzing and extracting value from data. Databricks is led by a team of professors that has created the in-memory Apache Spark and Shark platforms for analyzing big data. Databricks is currently in stealth mode. DataPad is building an agile, collaborative tool that helps you prepare, explore, analyze and share your data. By building on years of perceptual research studies, DataPad is engineering a visualization system that is best suited for human eyes to see and for the brain to understand. With DataPad, finding insights in your data is a breeze: our smart defaults and intelligent tools help you choose the right visualization for the job, every time. DataPad went from being in stealth mode to becoming a part of Cloudera. GoodData, the leader in end-to-end cloud analytics, enables more than 35,000 companies to store, combine, analyze and visualize data to quickly answer business-critical questions. GoodData’s mission is to help companies become all data enterprises: organizations that gain a competitive advantage by leveraging all data through advanced analytics. The GoodData Open Analytics Platform helps companies manage and analyze that data in one seamless, interactive environment and create breakthrough applications to empower their customers and users. Quantifind is a marketing insights platform that leverages predictive analytics models to extract insights from large sets of consumer conversations. Quantifind finds consumer language patterns that are meaningful in driving sales or other key performance indicators (KPI) for brands. The technology evaluates thousands of consumer language patterns and calculates which ones are most likely connected to movement in a given brand’s KPIs. The technology then determines which patterns can be used in a predictive model and performs cross-validation techniques to rule out spurious correlations. Quantifind’s Signum platform can help major consumer brands guide brand strategy decisions. Today, Quantifind’s clients use Signum across their organization spanning marketing, product, ops and company-wide strategy. Mixpanel’s mission is to help the world learn from its data. They’ve built the most advanced analytics platform for mobile and web, growing the number of actions they analyze to over six billion every single month. Mixpanel’s platform empowers individuals and businesses to explore their data instead of reading canned reports. Every day, some of the leading companies in gaming, e-commerce, social networking, and media are surprised by what they learn from Mixpanel and ultimately are in a better position to make strategic decisions. Platfora is the #1 Big Data Analytics platform built natively on Hadoop and Spark. Platfora puts big data directly into the hands of business people through self-service analytics that help them uncover new opportunities that were once impossible or impractical across transaction, customer interaction and machine data. An interactive and visual full-stack platform delivered as subscription software in the cloud or on-premises, Platfora Big Data Analytics is creating data-driven competitive advantages in the areas of security, marketing, finance, operations and the Internet of Things for leading organizations such as Citi, Sears, AutoTrader, Disney, Edmunds.com, Opower, Riot Games, Vivint and TUI Travel. SolveBio delivers the critical reference data used by hospitals and companies to run genomic applications. These applications use SolveBio’s data to predict the effects of slight DNA variants on a person’s health. SolveBio has designed a secure platform for the robust delivery of complex reference datasets. We make the data easy to access so that our customers can focus on building clinical grade molecular diagnostics applications, faster. uBiome provides personal metagenomics (bioinformatics analysis) for the microbiome – the trillions of bacteria that compose much of your body. Unlike human DNA-based genomics, bacteria can be used as biosensors to monitor and change your health. uBiome is building a platform so that the public, clinicians, research foundations can ask and answer questions about the microbiome and helping us to build the world’s largest dataset of microbiome and metadata in the world which can then be used for diagnostics, therapeutics, and product development. uBiome is the first direct-to-consumer microbiome sequencing company, giving citizen scientists access to cutting edge sequencing technology, with thousands of users who have already purchased kits. They also help companies and institutions connect with research participants by working with the public to sequence their microbiomes. Tagged with apache shark, apache spark, BI, big data, business intelligence, data intelligence, genomic analytics, hadoop, machine learning, metagenomics, visualization.